The market for Hot Drinks is one of the strongest markets in terms of volume sales and comprises 3 segments: Coffee, Tea and Cocoa. The Consumer Market Outlook provides the key indicators - sales, revenue and price - for the most relevant comsumer markets worldwide. 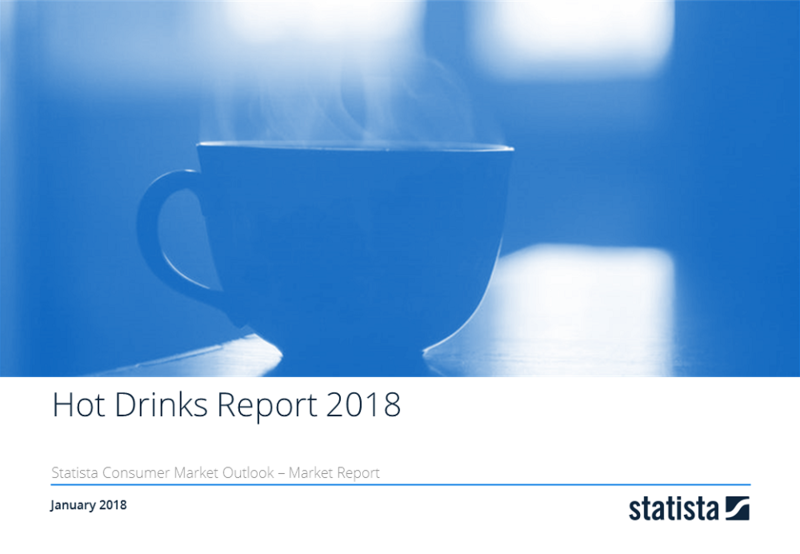 This extensive report provided by the Consumer Market Outlook gives a detailed international comparison of the Hot Drinks market.With a Compound Annual Growth Rate of almost 6%, the market for Hot Drinks is one of the fastest-growing markets within the Consumer Market Outlook. Coffee, Tea and Cocoa are highly popular throughout the world and there are various different ways of consumption. This is also reflected in the high worldwide revenues of US$ 128 billion. While the European and U.S. Coffee markets are saturated and show only a slight sales growth, the demand in Latin America keeps increasing. The trend towards coffee pads and capsules has a significant impact on the Hot Drinks market in Europe and the USA: While sales remain stable or even show a downward trend, revenues are increasing above average. Tea is not only popular in Ireland, the United Kingdom and China, but worldwide. This can be seen in the growth potential of the Tea market, which is higher than the one in the Coffee segment. The market for Cocoa only accounts for 3% of global Hot Drinks revenues, but it shows constant positive growth with a CAGR of 3.2% between 2010 and 2016. For more information please visit the Statista Consumer Market Outlook.